North Carolina 4-H is pleased to announce the call for nominations for the North Carolina 4-H Hall of Fame. The North Carolina 4-H Hall of Fame honors individuals who have made a significant impact on the North Carolina 4-H Program. Honorees will be selected from nominations made each year. Nominations may come from County Cooperative Extension Centers, 4-H Groups, North Carolina Cooperative Extension staff, and individuals. Nomination forms are due to the State 4-H Office by March 4, 2019, and can be emailed to Dr. Mitzi Downing at mitzi_downing@ncsu.edu or printed and mailed. A committee appointed by the State 4-H Office will select inductees. 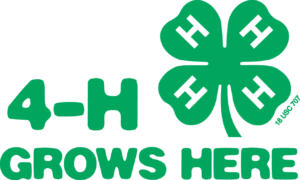 Honorees will be selected to include a wide variety of contributions to 4-H in North Carolina. The nomination form can be downloaded from this link 2019 NC_4-H_Hall of Fame_Nomination Form. Induction into the NC 4-H Hall of Fame will take place in conjunction with the 4-H Signature Event to be held on April 6, 2019 (Event details will be made public soon). Members of the National 4-H Hall of Fame representing North Carolina and North Carolina recipients of the National 4-H Salute to Excellence Lifetime Volunteer Award (10 or more years volunteering) will be automatically inducted into the North Carolina 4-H Hall of Fame if they are not already a member. They will be inducted as part of the class immediately following the awarding of these honors. Please take a few minutes to nominate a 4-H champion. Questions about the nomination process can be sent directly to Dr. Mitzi Downing at mitzi_downing@ncsu.edu.